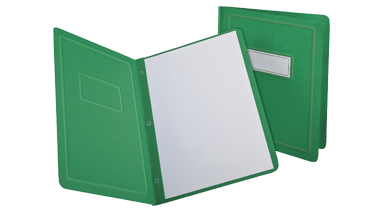 Embossed title panels and borders on leatherette-grained stock. Fasteners hold up to 100 sheets. 11-1/2 x 9-1/8. Dark Blue. Contains a minimum of 10% post-consumer recycled content.